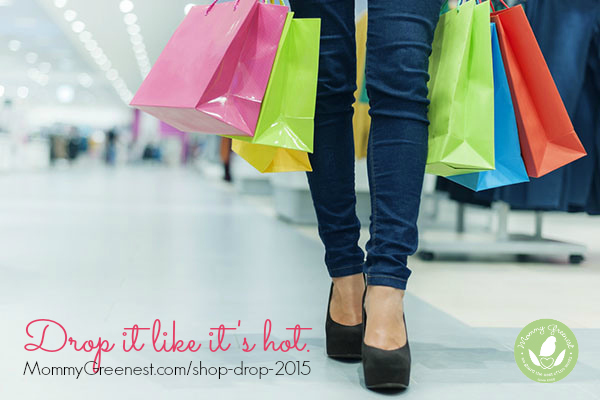 Editor’s Note: Check out the 2016 Shop Drop Challenge!We’re nearly halfway through the Mommy Greenest Shop Drop Challenge, in which we stop buying any new clothes or accessories for 30 days. Last year, Mommy Greenest readers saved $30,000 and 3,000 pounds of landfill waste in just one month. Will you join us? Want to save money, time & the environment? Take the Mommy Greenest Swap Drop Challenge! Here’s why: 160 million American women spend an average of $60 each month on clothes, while dumping six pounds of textile waste into the landfill. That’s $10 billion and one billion pounds of trash—every month. Last year, I was so floored by those numbers that I started the Mommy Greenest Shop Drop Challenge and 500 of you joined me, saving an average of $30,000 and 3,000 pounds of waste in just one month. Not bad, right? But this year, we can do more! Head on over to the Mommy Greenest Shop Drop Challenge page, leave a comment to say you’re on board. That’s it.